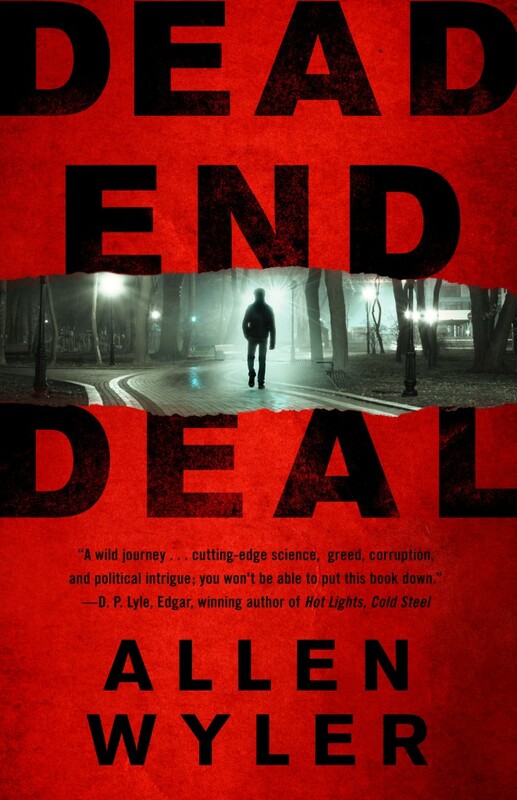 We have author, Allen Wyler, joining us today to answer a few questions and talk about his book, Dead End Deal. So, Allen, please tell us about your book. It’s a blitz-pace thriller about a neurosurgeon who, while in Korea, is framed for a murder. While hunted by police he must evade a professional hit man while trying to find a way back to the United States. I figure it’s Three Days of The Condor meets Michael Crichton. Wish I could say that someone or something inspires me, but for me writing is hard work that comes from wanting to achieve one goal: create a thrilling read. It was something I’d always dreamed of. One day I came home from making rounds at the hospital and sat down at the computer to write a book. Life has never been the same. It’s hard to know because I worked on it off and on whenever I had spare time. I still have the manuscript. When I look at it I can see why it never got published. It was awful. Coming up with fresh characters. Plots seem easy. Good characters are tough. I’m highly disciplined and put in at least one hour a day writing. I might not accomplish much in that hour, but I spend it working on my writing. I have two prior books, DEADLY ERRORS and DEAD HEAD. Both are medical thrillers, the first dealing with preventable medical errors, the other about keeping a detached head alive for the information contained in the brain. Have faith in yourself. Write for yourself, not for your critics. John Sanford, Michael Connelly, Don Winslow, Thomas Perry. Marathon Man was the book that attracted me to the thriller genre. I read in on the flight to where I took my oral boards. Stayed up all night to finish it. Presently reading MANHUNT, the story of the hunt for Osama Bin Laden. In 2002, he left active practice to become Medical Director for a start-up med-tech company (that went public in 2006) and he now chairs the Institutional Review Board of a major medical center in the Pacific Northwest. I passed this one up because of my crazy review schedule, but it does sound good!